This document is for developers wishing to contribute to the FormulaEvaluator API functionality. 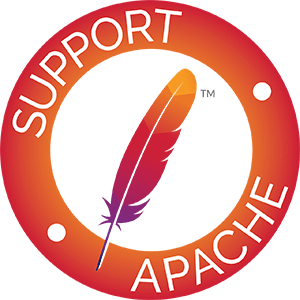 When evaluating workbooks you may encounter a org.apache.poi.ss.formula.eval.NotImplementedException which indicates that a function is not (yet) supported by POI. Is there a workaround? Yes, the POI framework makes it easy to add implementation of new functions. Prior to POI-3.8 you had to checkout the source code from svn and make a custom build with your function implementation. Since POI-3.8 you can register new functions in run-time. Currently, contribution is desired for implementing the standard MS excel functions. Place holder classes for these have been created, contributors only need to insert implementation for the individual "evaluate()" methods that do the actual evaluation. RPN tokens are mapped to Eval classes. (Class hierarchy for the Evals is best understood if you view the class diagram in a class diagram viewer.) Depending on the type of RPN token (also called as Ptgs henceforth since that is what the FormulaParser calls the classes) a specific type of Eval wrapper is constructed to wrap the RPN token and is pushed on the stack.... UNLESS the Ptg is an OperationPtg. If it is an OperationPtg, an OperationEval instance is created for the specific type of OperationPtg. And depending on how many operands it takes, that many Evals are popped of the stack and passed in an array to the OperationEval instance's evaluate method which returns an Eval of subtype ValueEval.Thus an operation in the formula is evaluated. An Eval is of subinterface ValueEval or OperationEval. Operands are always ValueEvals, Operations are always OperationEvals. OperationEval.evaluate(Eval) returns an Eval which is supposed to be of type ValueEval (actually since ValueEval is an interface, the return value is instance of one of the implementations of ValueEval). The valueEval resulting from evaluate() is pushed on the stack and the next RPN token is evaluated.... this continues till eventually there are no more RPN tokens at which point, if the formula string was correctly parsed, there should be just one Eval on the stack - which contains the result of evaluating the formula. OperationEvals for the standard operators have been implemented and tested. All Excel formula function classes implement either org.apache.poi.hssf.record.formula.functions.Function or org.apache.poi.hssf.record.formula.functions.FreeRefFunction interface. Function is a common interface for the functions defined in the binary Excel format (BIFF8): these are "classic" Excel functions like SUM, COUNT, LOOKUP, etc. FreeRefFunction is a common interface for the functions from the Excel Analysis Toolpack and for User-Defined Functions. In the future these two interfaces are expected be unified into one, but for now you have to start your implementation from two slightly different roots. Which interface to start from? Walkthrough of an "evaluate()" implementation. // Excel rules. Does not perform any type conversion. // Applies some conversion rules if the supplied value is not already a number. Voila! The formula evaluator now recognizes SQRTPI! Automated testing of the implemented Function is easy. The source code for this is in the file: o.a.p.h.record.formula.GenericFormulaTestCase.java This class has a reference to the test xls file (not /a/ test xls, /the/ test xls :) which may need to be changed for your environment. Once you do that, in the test xls, locate the entry for the function that you have implemented and enter different tests in a cell in the FORMULA row. Then copy the "value of" the formula that you entered in the cell just below it (this is easily done in excel as: [copy the formula cell] > [go to cell below] > Edit > Paste Special > Values > "ok"). You can enter multiple such formulas and paste their values in the cell below and the test framework will automatically test if the formula evaluation matches the expected value (Again, hard to put in words, so if you will, please take time to quickly look at the code and the currently entered tests in the patch attachment "FormulaEvalTestData.xls" file).